Storm Group Roofing specializes in Minnesota residential roofing and commercial roofing solutions, as well as superior roof repair and roof replacement. Our Minneapolis roofing company uses only the best roofing materials with warranties to ensure you receive the best roofing services possible. As an Owens Corning certified roofing contractor in Minneapolis, Storm Group Roofing is backed by the best in the business. 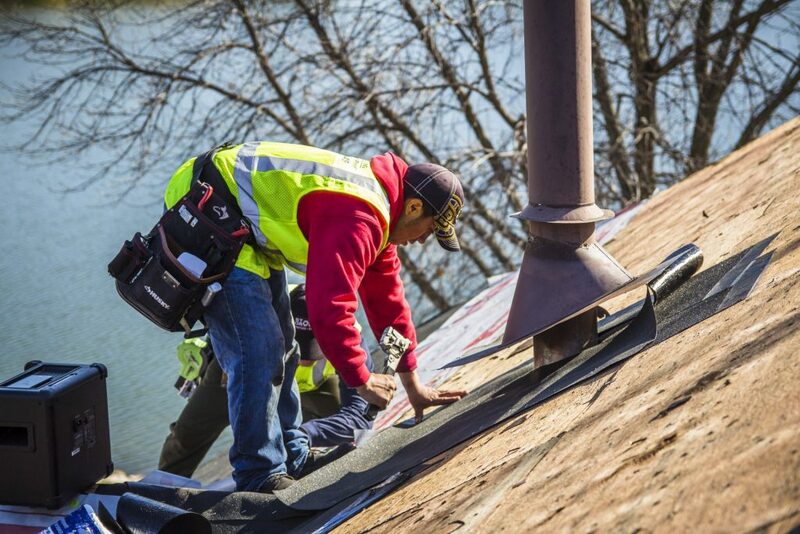 From the smallest residential roofing repair jobs to complete roof replacement service, trust us to transform your property with the best roofing solutions in Minnesota. After severe weather hits, turn to us for fast and professional emergency roof repair and storm damage repair service. Once the storm damage is secure, we can provide you with a complimentary roof inspection and repair estimate. This complimentary estimate will show you what to expect and help you make an informed decision about the roofing repairs that need to be done. In addition to mitigating your property’s storm damage so it doesn’t get worse, our team of storm insurance specialists can guide you through the storm damage insurance claims process. Trust Storm Group Roofing to alleviate the stress that comes from storm damage with fast and professional roof repair and roof replacement service. Storm Group Roofing specializes in installing new home roofing and superior roofing repair. In addition to emergency roof repair after a storm, roofs can be repaired at any time when damage is noticed. We repair all roof types of various materials including asphalt shingles, metal, tile, and wood shakes and shingles. We use only the finest roofing materials from the largest and most well known asphalt roofing manufacturers in the world. This allows us to offer our customers the best possible selection, warranties, and prices in Minneapolis. Our relationship with the top suppliers gives us access to a wide range of roofing products that other local roofers just can’t match. There are a number of factors that determine which types of roofing materials you choose. Some of these include the style of the structure and roof, your budget, and what your plans are for the long term. Storm Group Roofing will help you decide on the best roofing product and design to suit your needs and the needs of your home or business. We will show you all of the viable roof options available to you so you can make an informed decision. You will be able to evaluate shingle styles and color options that mesh well with your property’s overall appearance and your budget. In addition to giving you access to the best roofing products, you also receive top quality service. When your property sustains roof damage, we are there as soon as possible to secure the damage and provide you with an estimate. We typically have jobs completed within two weeks and we are always available to answer your questions and guide you step-by-step through the process. We know that having a damaged roof afrer a storm can be stressful, but we can alleviate that stress and give you the results that you need to get your house looking better than ever!